The ASQ is a car, boat and submarine. 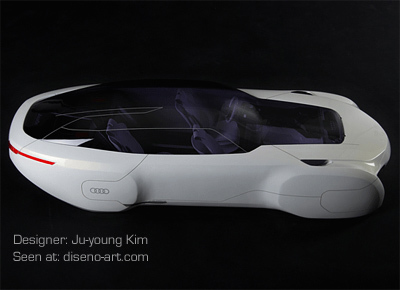 The Audi ASQ concept is an advanced futuristic design created by Hongik University Transport Design graduate Juyoung Kim. The ASQ has been designed for the year 2040 and a world where the worst-case global warming predictions have materialized and the sea levels have risen dramatically due to the melting of the polar ice caps. 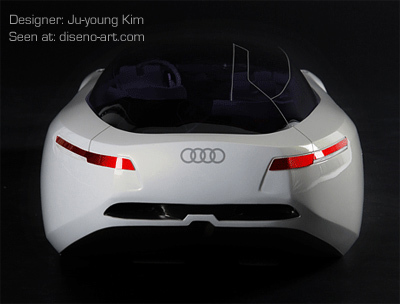 The Audi ASQ concept is equipped to deal with the rise in water levels due to its ability to travel both on land and water. It even has submersible capabilities. On land the ASQ uses an advanced form of Audi's quattro all-wheel-drive system which features four independent electric motors, one for each wheel. 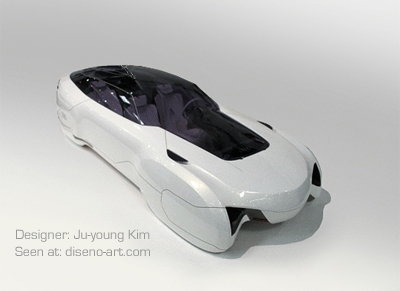 The front wheels are spherical in shape which helps to increase maneuverability. Once in the water the ASQ switches over to an aquatic version of the quattro drive system which uses water jet propulsion - similar to a jetski. Water jets positioned in the front, rear and sides mean the ASQ could move in any direction once underwater. 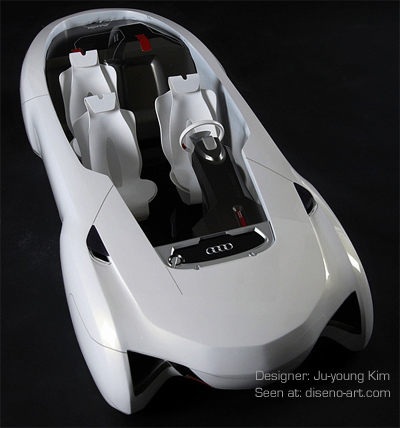 The interior of the Audi ASQ concept features three seats - instead of a more conventional four seat layout - in order to increase the overall space for the occupants. The feeling of space is however further enhanced through the use of a 100% transparent upper section of the cabin which incorporates a single piece windscreen, roof, and rear window and frameless side windows. The floor of the ASQ also features transparent panels to allow the occupants to see into the water below. 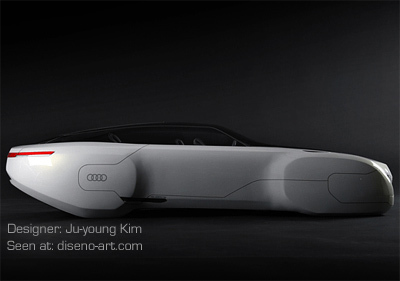 Powering the Audi ASQ is a hydrogen fueled engine which acts as a electrical generator. 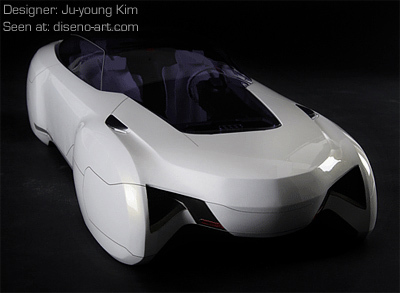 The electricity is used to supply power to batteries which in turn provide power to the four electric motors.